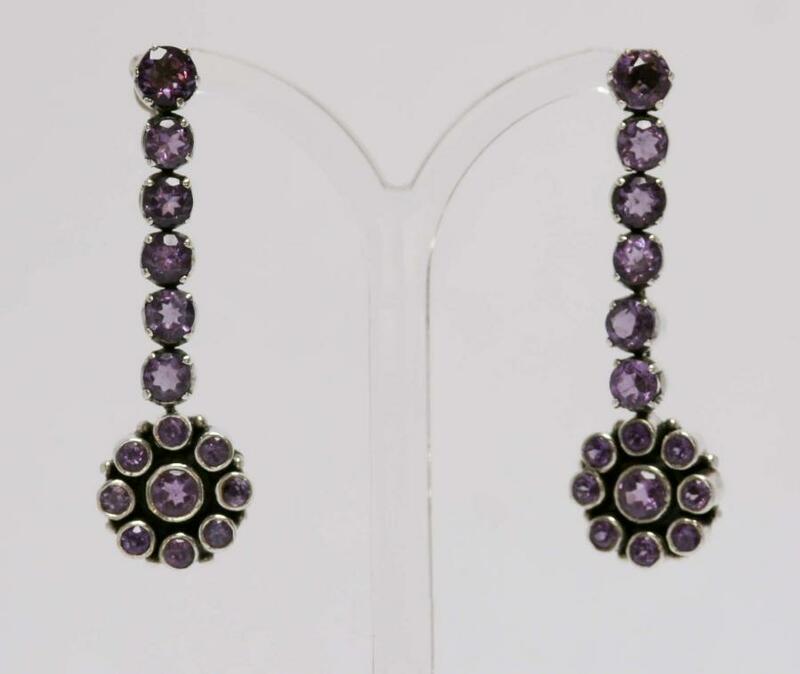 Long faceted 18-stone amethyst stud earrings. Sterling silver. One earring weighs 7.37 grams.